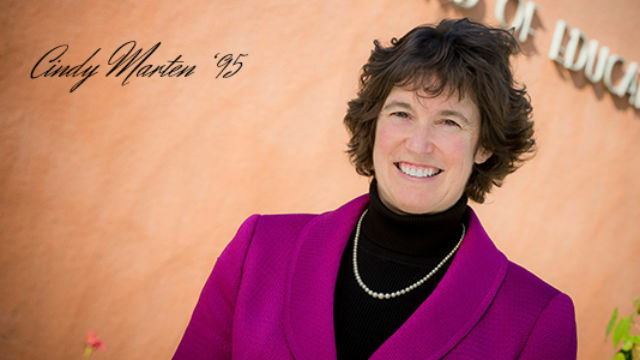 Cindy Marten, head of the San Diego Unified School District, will be honored as local Peacemaker for 2015 when the National Conflict Resolution Center holds its 27th annual Peacemaker Awards. The event, March 12, also recognizes University of California President Janet Napolitano, the former Cabinet secretary and Arizona governor, as the national Peacemaker for 2015. “Whether addressing the troubling issue of sexual assault on campus, or promoting diversity through admission policies … President Napolitano has put pragmatic solutions ahead of partisan ideology – and in the process exemplifies NCRC’s proven practice of conflict resolution and its broad application throughout society,” said the group, based in San Diego since 1983. “Superintendent Cindy Marten is leading a fundamental shift in the way the district views and resolves instances of student misconduct. She has applied Restorative Community Conferencing — seeking and identifying the sources of aberrant behavior, then engaging students, school administrators and parents in discussion about appropriate consequences, and more. Previous national honorees included U.S. Rep. John Lewis, David Gergen and Athol Fugard. Event co-chairs are Dorian and Bill Sailer, and Lera and Steve Smith. Jeanne and Gary Herberger are honorary chairs. The event will be 6-9 p.m. at the Hyatt Regency La Jolla at Aventine, For details and to purchase tickets, see ncrconline.com, or phone 619-238-2400, ext. 222.